Fairy Princess Azura mounts her fantasy swan for a ride through her enchanted pond -- or maybe for a short flight around her kingdom. 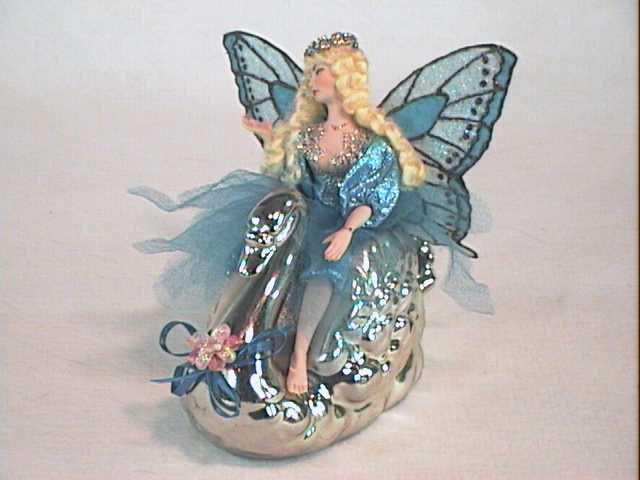 Fairy Princess Azura is a hand painted porcelain miniature fairy doll with a fabric body. 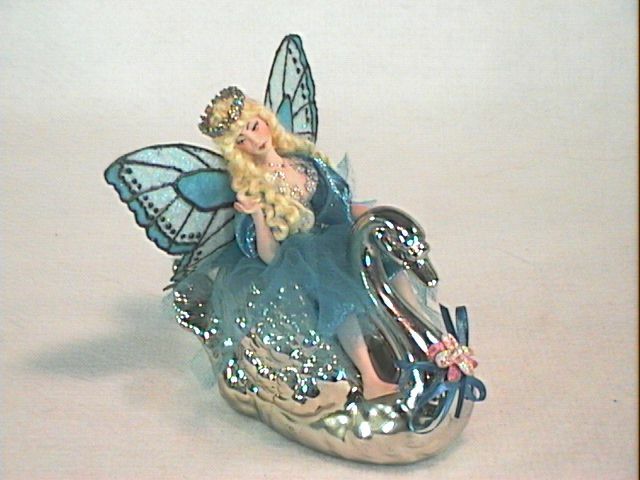 Her ceramic swan is silver lustre and is a lovely collectible in itself. 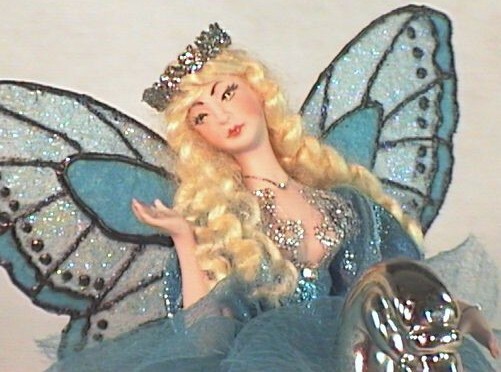 Azura is attired in a handmade fairy suit of blue lame' with a petal skirt of sheer, sheer polyester. Her wings are handmade and hand painted to pick up the lovely color of her dress. Azura sits about 5" high on her swan. Her wingspan is 5". She is a wonderful, one-of-a-kind creation by the artist JoAnnJ of Galleria d'Juliani, and is hand signed by the artist.